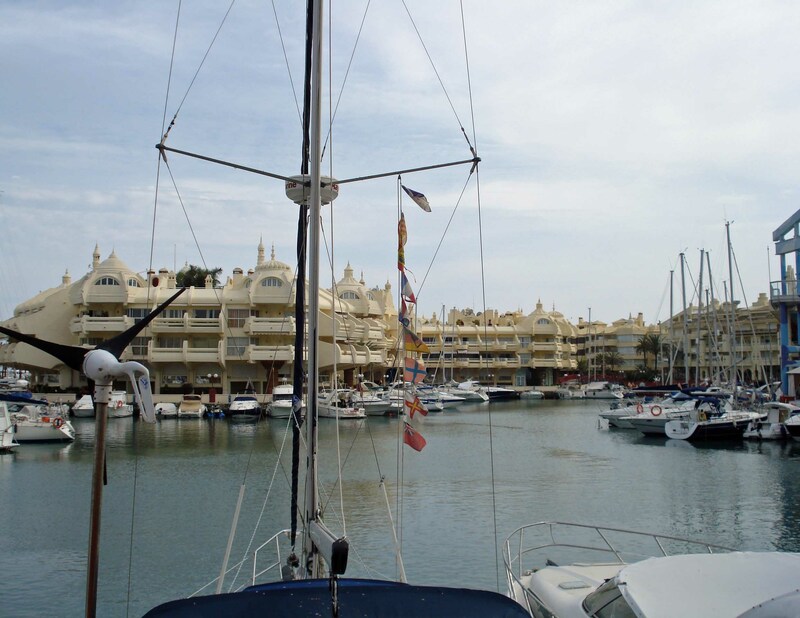 Our son was returning to the UK today, flying out late this afternoon, so we broke the journey to Malaga airport with a visit to the harbour at Benalmedina. 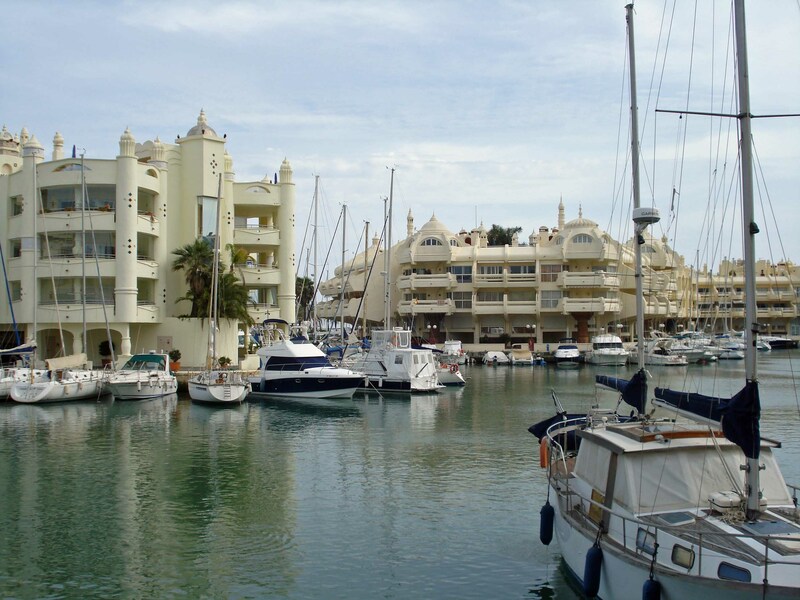 It’s undeniably a very ‘touristy’ area, with its share of shops selling expensive bric-a-brac, but there are some good places to eat there and the interestingly designed apartment buildings surrounding the marina area give the place a quite unique ambience. To get to the point of this post, as we wandered around I kept seeing birds that were clearly dove-sized and shaped, but I couldn’t see what they were exactly. 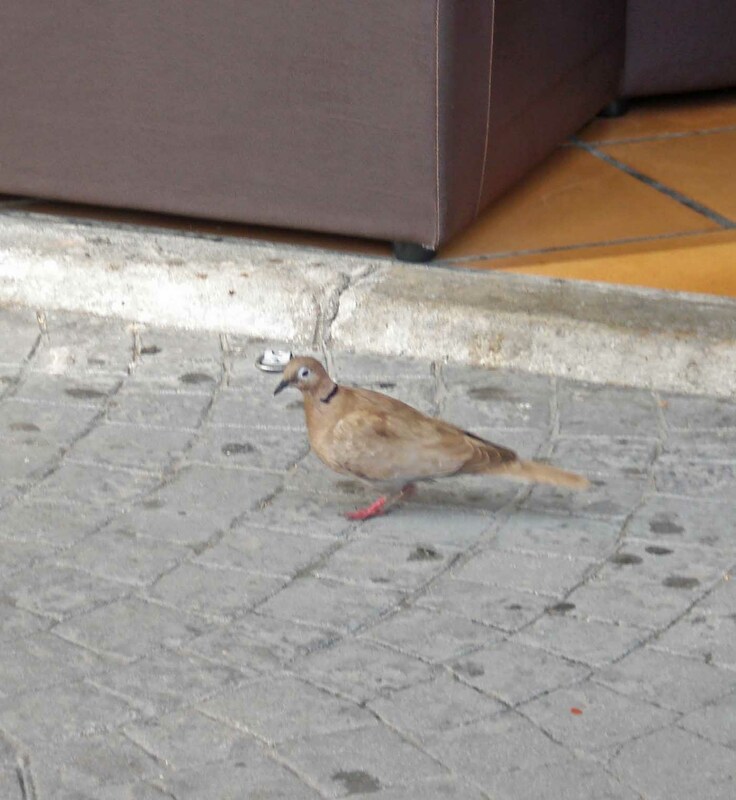 Then around the outside tables of a café a couple of them flew in and began pecking around, pigeon-style. 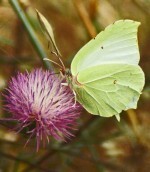 They were Collared Doves, but not entirely as I know them. They all seemed to have the diagnostic ‘collar’, but then the birds had plumage in various shades of brown and some looked a bit strange around the eyes. So, my question is, do Collared Doves cross-breed with pigeons and are these some kind of hybrid of the two species? Anyway, that’s it really, except to say that if anyone wants to see a colony of noisy but gorgeous Ring-necked Parakeets, this is the place to see them easily. 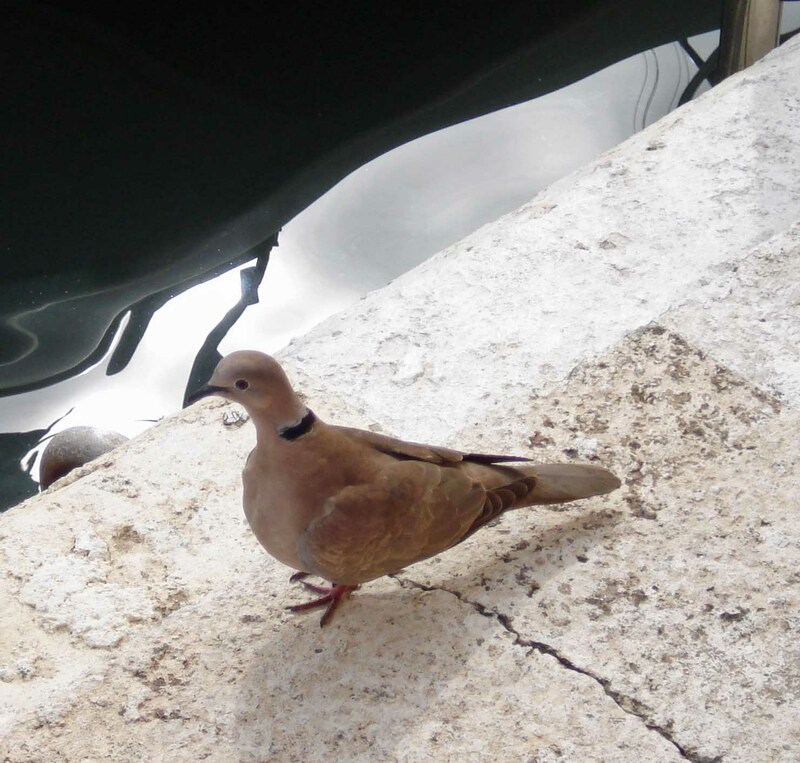 This entry was posted in Birds of Southern Spain and tagged Collared Dove oddities, Collared Doves. Bookmark the permalink.